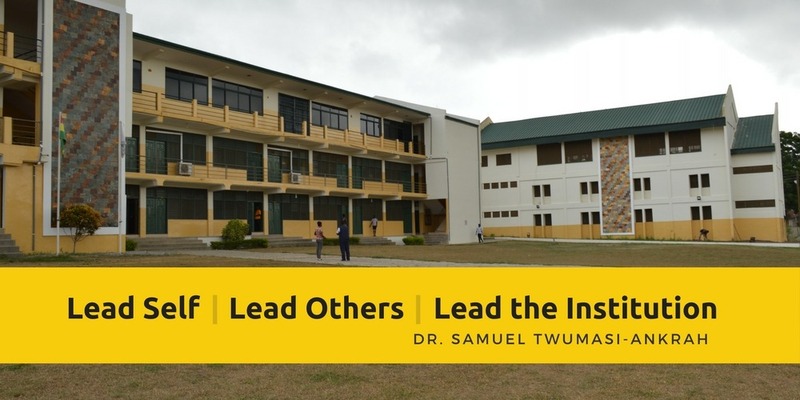 This year will mark the publication, in book form, of a study on “Determinants of Leadership Effectiveness in Christian Higher Education” by Dr. Samuel Twumasi-Ankrah, president of Heritage Christian College, in Accra, Ghana. The book, an updated and revised version of Dr. Twumasi-Ankrah’s 2013 doctoral dissertation at Biola University, holds value for college administrators in that it establishes a methodology for determining leadership effectiveness. 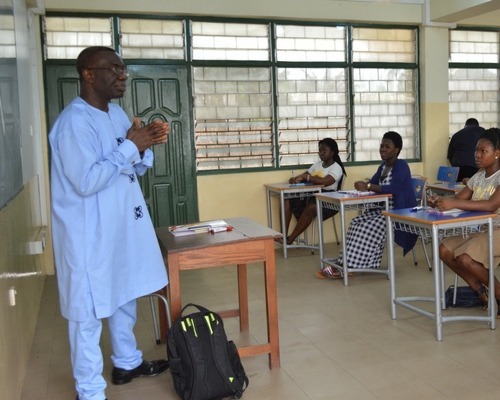 Dr. Samuel Twumasi-Ankrah in the classroom. In these times of increased public scrutiny of higher education’s role and its associated costs, accountability is a paramount concern. For an administrator to recognize that he or she can effectively assess performance from within—that surely would be an encouraging prospect, one would imagine. Moreover, author V.J. Rosser and others have observed that the evaluation of deans has not been guided by firmly established assessment practices that are systematically fair and accurate. Thus, as Twumasi-Ankrah suggests, an objective and efficient assessment cannot be possible unless there is a clear understanding of the conceptual foundation of administrative effectiveness in higher education. His forthcoming book will provide a broad understanding of the conceptual framework that serves as the basis on which college or university leaders’ role effectiveness is evaluated within the general context of Christian higher education. Lead Self. We must be able to guide our own steps before we merit the authority to guide others’ steps. This thought might be seen as having some connection to the scriptural dictum found in Luke 16:10, where we read: “One who is faithful in a very little is also faithful in much, and one who is dishonest in a very little is also dishonest in much.” In other words, if we treat the “very little” as ourselves—then we see that being responsible and “faithful” in guiding our own steps is a necessary prerequisite for being “faithful in much”—that is, being guides of others’ steps. If a person cannot master himself, and make good account of himself, in his relations to his family, to his peers, to his spouse and children—if a person cannot be “faithful” in these “little” things—then that person has no call to be placed over larger matters, such as administration of public or private institutions or offices. In the book, a number of specific leadership effectiveness characteristics are identified and examined dealing with academic presidents’, deans’, and other upper-level administrators’ roles. Implications and applications are made not only for college or university presidents and deans but for several stakeholders, including governing boards, chief administrators and academic leaders, faculty, students, agencies responsible to promote character formation, as well as those responsible for regulatory and fiduciary affairs.